The design of the server client concept is to separate the main program into multiple workstations to ease the logins and operations of the software without having to login from the main computer. The main program and database can be loaded in a server and the operation interface or so-called clients are installed into normal workstations. Server and clients will interlink with each other on the TCP/IP network. Administrators and multiple system operators can log in anytime to operate the software from their own workstations. There will be an instance when you are trying save the server settings from a different client workstation and encounter the error below. If you are unable to save the server settings after successfully connecting it to the server, do follow the steps below. You will only need to perform this at the SERVER workstation if you are using a different workstation for the client. 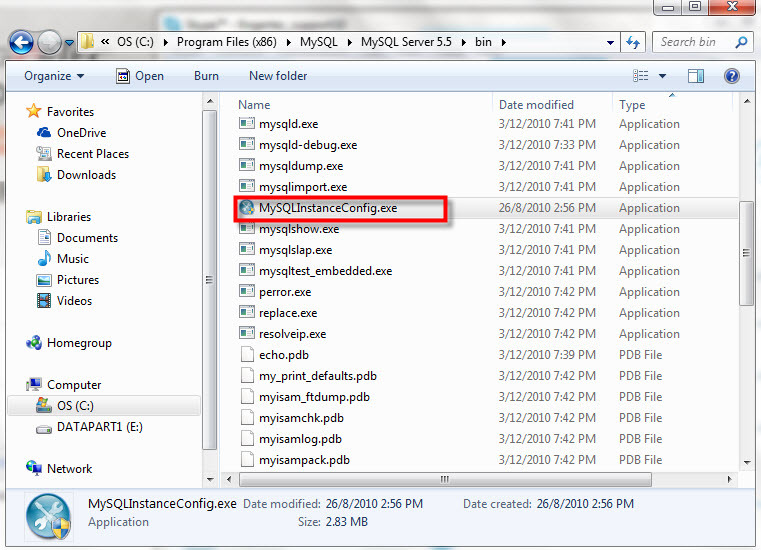 Go to Program Files (x86) > MySQL > MySQL Server 5.5 > Bin > select MySQLInstanceConfig.exe to check the setting of root access. Make sure you 'tick' the Add firewall exception for this port as per the diagram below. 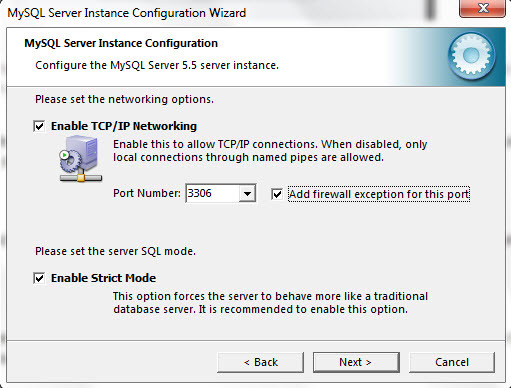 Alternatively, you can allow port 3306 in the firewall settings from the server computer. You can refer to the link below on the steps to allow the port 3306. Once you have completed the above step you will be able to login from the client workstation with no error. Please be informed that to make sure the Ingress performance stable, we recommend to install Ingress Software into 5 PC only. Regarding the error message, it show when you want to save the setting or not? 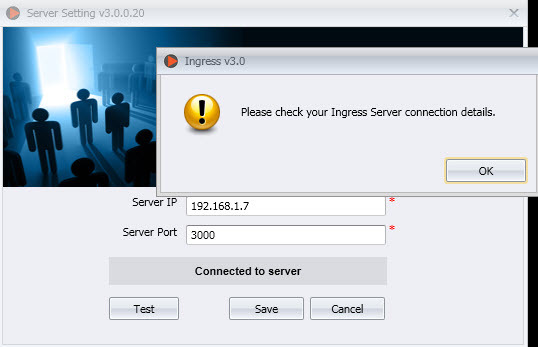 And what is the Ingress client version and Ingress server software version?